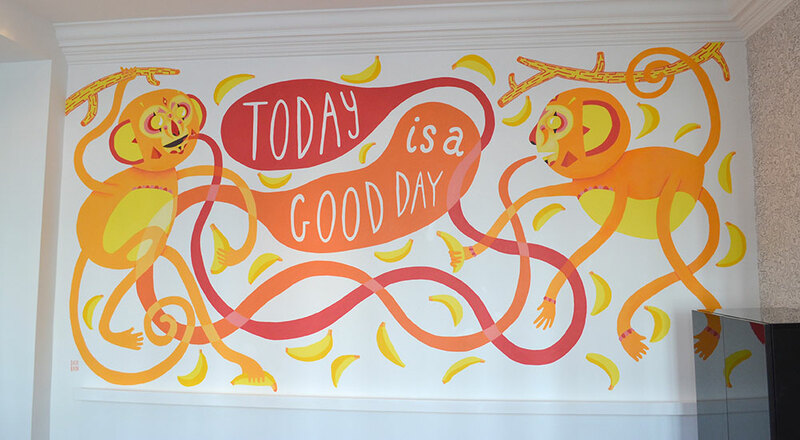 LIFE, in Birmingham, invited me to paint a large mural in their front meeting room. The brief: to illustrate and include the phrase “Today is a good day”. Collaborative mural series, with Zoë Power, created to raise awareness of road safety.